Microsoft Windows 10 SDK Preview Build 17095 is now available for download. The latest SDK contains bug fixes and changes to the API surface area. This build works in conjunction with previously released SDKs and Visual Studio 2017. The Windows SDK will now formally only be supported by Visual Studio 2017 and greater. You can also download the Visual Studio 2017 from here. C++/WinRT Now Available: The C++/WinRT headers and cppwinrt compiler (cppwinrt.exe) are now included in the Windows SDK. The compiler comes in handy if you need to consume a third-party WinRT component or if you need to author your own WinRT components with C++/WinRT. 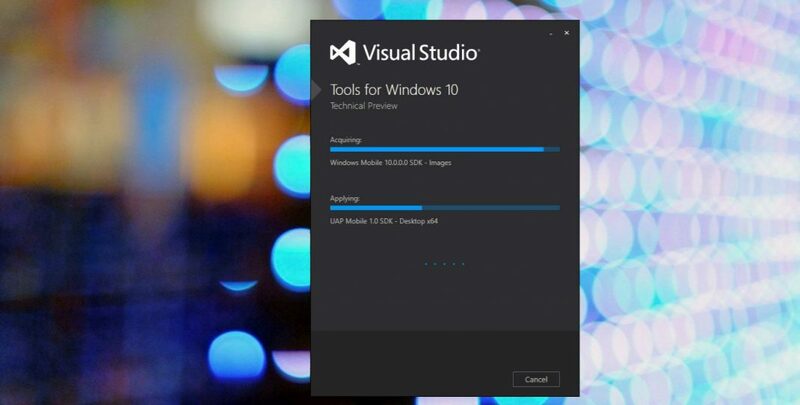 The easiest way to get working with it after installing the Windows Insider Preview SDK is to start the Visual Studio Developer Command Prompt and run the compiler in that environment. Authoring support is currently experimental and subject to change. Stay tuned as we will publish more detailed instructions on how to use the compiler in the coming week. The ModernCPP blog has a deeper dive into the CppWinRT compiler. To work around this issue, run a repair on the Windows SDK, or update your minimum target version of your app to be 10.0.17095.0.